I'm excited and nervous today because I've just sent my RSVP for the Cosmopolitan Blog Awards! 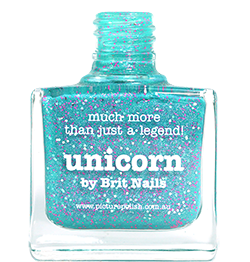 I'll be heading down to London in October to meet with some amazing bloggers, Sammy of The Nailasaurus, Lucie of Lucy's Stash and Alice of One Nail To Rule Them All. It'll be like some sort of nail blogger invasion. Can't wait! 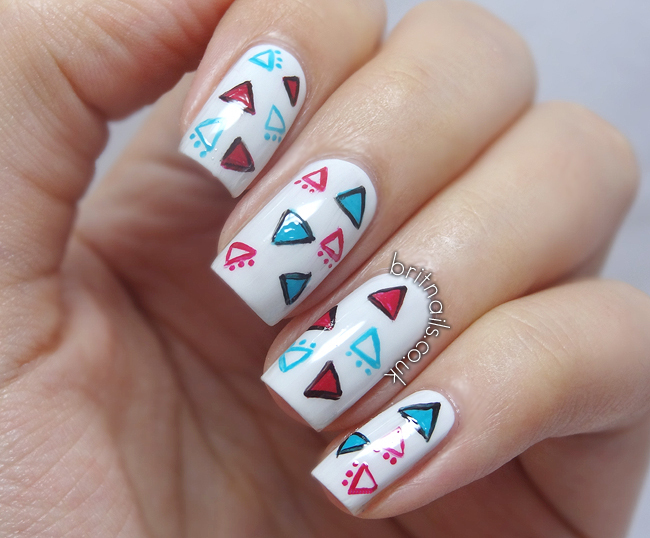 Today's nail art was inspired by my slightly strange love of triangles. 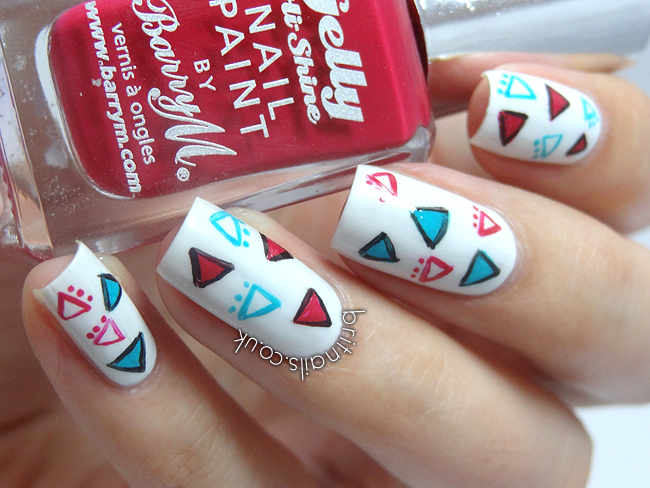 My base colour is OPI My Boyfriend Scales Walls, and I freehanded all of the little triangles with a small nail art brush. 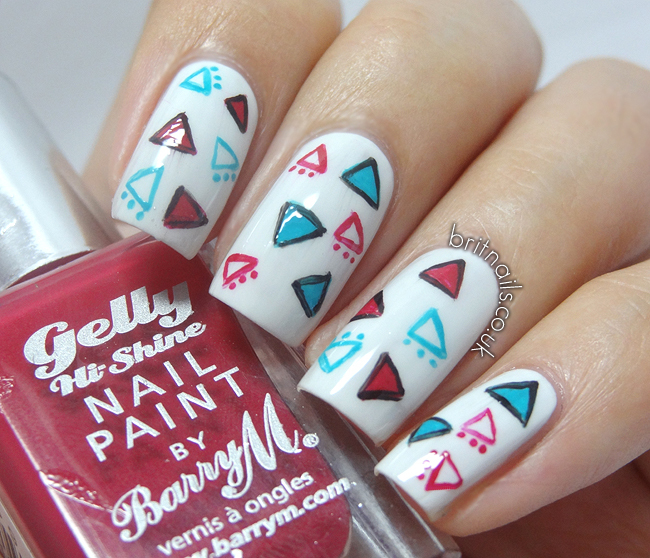 Colours used are Barry M Pomegranate and Barry M Guava. They are so adorable! I love triangles too.